Beautiful newly updated ranch home in heart of Roswell. This home features an oversized formal living room or office with separate dining room. A large open kitchen views breakfast area and family room with brick fireplace and also views the expansive deck - perfect for family enjoyment & entertaining. New roof, new exterior/interior paint, new garage doors, new light fixtures, new flooring throughout! Partial unfinished daylight basement great for workshop or storage. *$5,000.00 toward buyer closing costs to be paid by seller at time of closing. Directions:400N to exit 7a (Norcross), RT on Old Alabama, LFT on Riverside, LFT on Northshore, home on LFT. SchoolsClick map icons below to view information for schools near 1290 Northshore Dr Roswell, GA 30076. Home for sale at 1290 Northshore Dr Roswell, GA 30076. 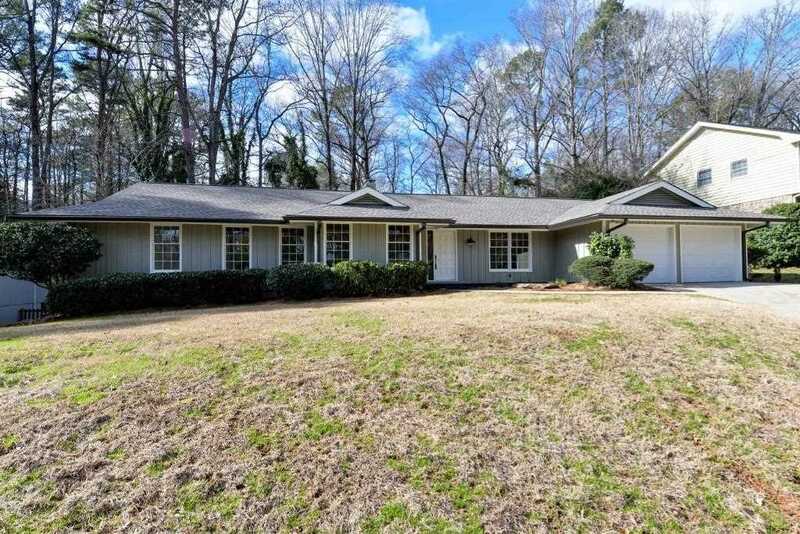 Description: The property at 1290 Northshore Dr Roswell, GA 30076 with the MLS Number 6123835 is currently listed at $375,000 and has been on the Roswell market for 90 days. You are viewing the FMLS property details of the home for sale at 1290 Northshore Dr Roswell, GA 30076, which is located in the Martins Landing subdivision, includes 4 bedrooms, 3 bathrooms, and has approximately 2488 sq.ft. of living area.